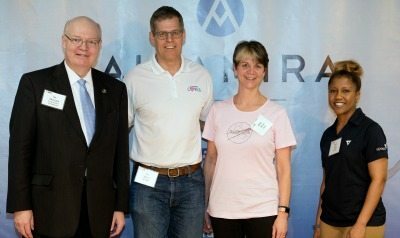 Left to right: Ed Swallow, The Aerospace Corp., Ted Davies, Altamira, Renee Wynn, NASA, and Kristy Clark, Vencore. 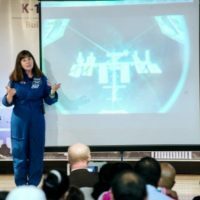 The fifth annual K-12 STEM Symposium was a resounding success with students and parents alike. 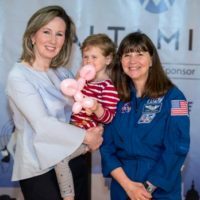 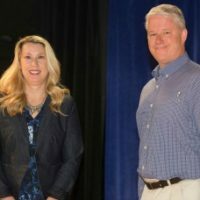 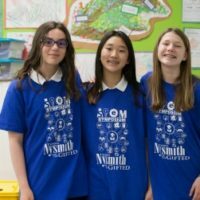 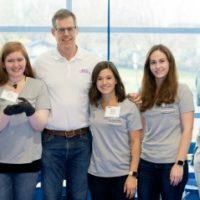 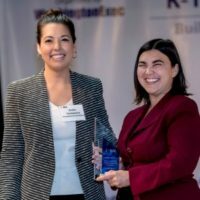 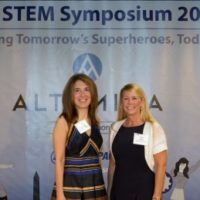 The April 14 event at the Nysmith School for the Gifted in Herndon, Virginia, was facilitated by WashingtonExec’s STEM Council and presented by Altamira Technologies. 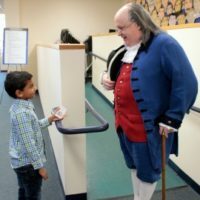 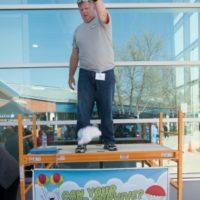 The event was free to students and parents. 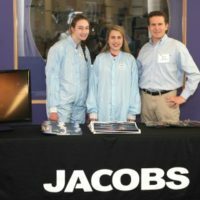 The symposium is designed to help bridge gaps in the workforce pipeline by introducing the tomorrow’s workforce to today’s opportunities. 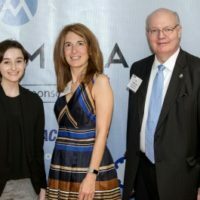 It drew more than 3,000 attendees as well as more than 50 exhibitors, at least 20 student showcases and numerous speakers. 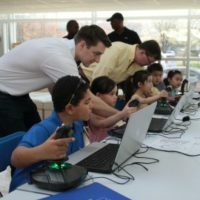 There were 3-D printers, drones, flight simulators, physics experiences, topography models, puzzles, robotics teams and more.